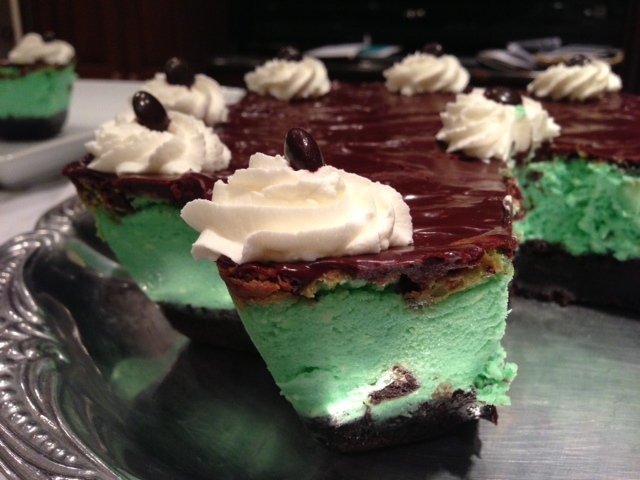 I have been meaning to make a chocolate peppermint cheesecake since Christmas but I have been so busy since that I never managed to make one. 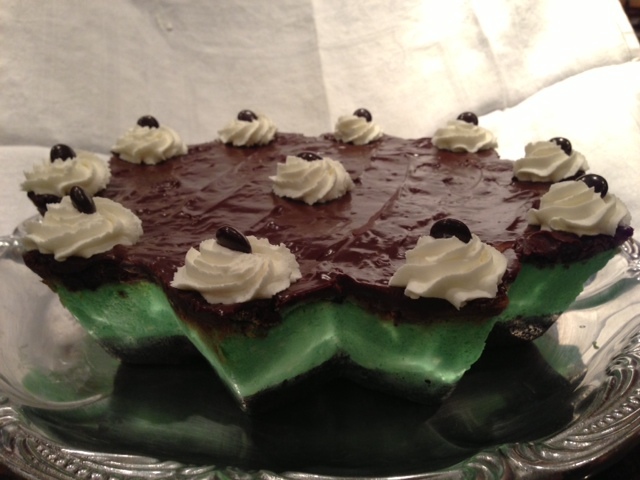 I wanted to make it white with red swirls and decorate with peppermint but Christmas seemed to be the best time to post such dessert so you may get to see that one at Christmas. I did not really follow a recipe here. Just used whatever I had done before. 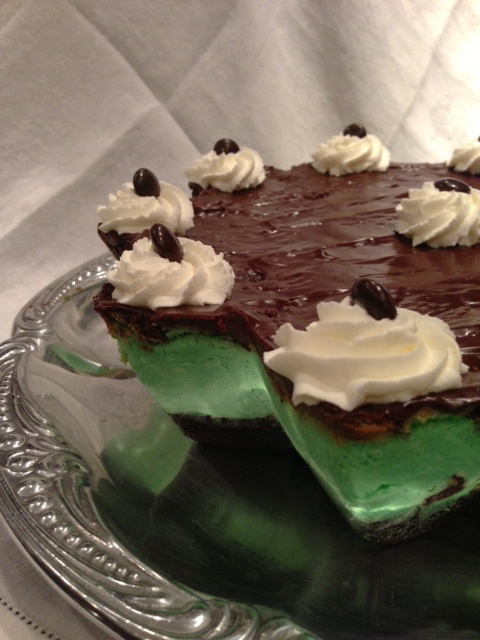 1-2 tsp of mint extract ( depending how strong you want your cake to taste). First of all turn the oven on to 350. In a large bowl, mix the melted butter and the sugar. then add the vanilla extract, the eggs and mix well. Add the flour, cocoa, baking powder, salt, Andes baking bits, and blend. 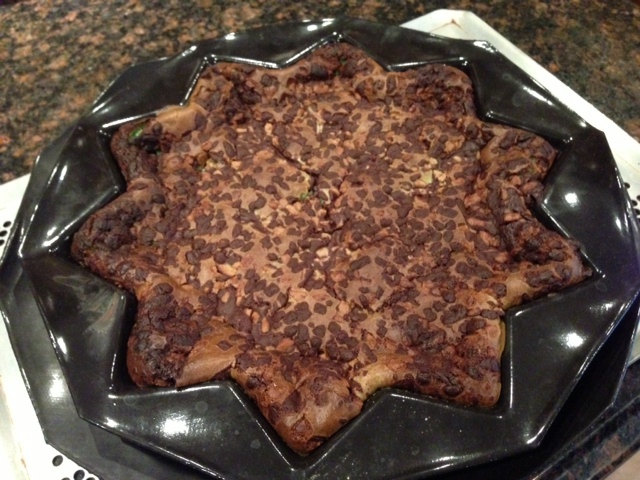 I wanted my cheesecake to look like a star so I used a star shaped from Demarle.Place a large round mold onto a perforated sheet, and pour the chocolate mixture into a star mold. Cook in a warm oven at 350 for 20 minutes ( when inserting a stick for doneness, it will not come out clean because you want the brownie to be soft and gooey). While the brownie is cooking, prepare the batter for the cheesecake. Beat the cream cheese and the sugar until it is smooth and free of lumps. One at a time, add the eggs and beat after each addition. Then add the cream, mint extract and mix well. Carefully pour the cheesecake mixture on top of the brownie. Place the grande mold on top of a perforated sheet. 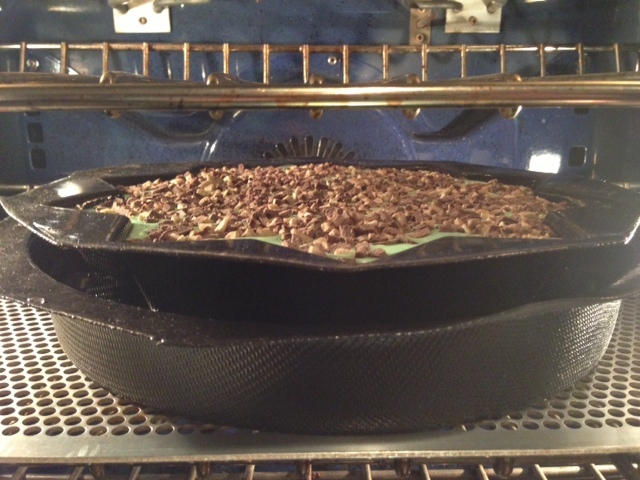 Place the star shaped mold in which you had baked the brownie inside the grande mold. 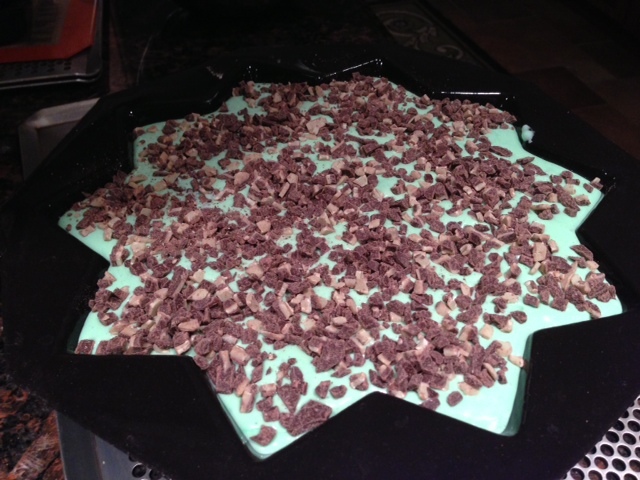 Pour the cheesecake batter inside the star mold. Sprinkle 1/4 cup of Andes Baking chips on top the cheesecake. When the cake is cooked, remove it from the water bath and let it cool at room temperature before placing it into the fridge. When the cake is cool, press the sides of the cake so that it is completely flat. Warm up 1/2 cup of heavy cream in the microwave and pour it over 1 cup of chocolate chips. Stir until the ganache is free of lumps. Drizzle the ganache over the top of the cake. Refrigerate the cake for a few hours before eating it. Take the cake out of the fridge for a few hours before eating it. Before serving, beat 1/2 cup of heavy cream, with 2 tbsp of sugar into whipped cream. Fill a pastry bag with this whipped cream and decorate the cake with it. Place a chocolate chip, M&M or Andes chocolate over the whipped cream as shown below. Et voila!!! I brought this cheesecake to my fellow teachers and they did not know if it was a cheesecake or a cream cake since it was so fluffy and so moist;-) Try!! !